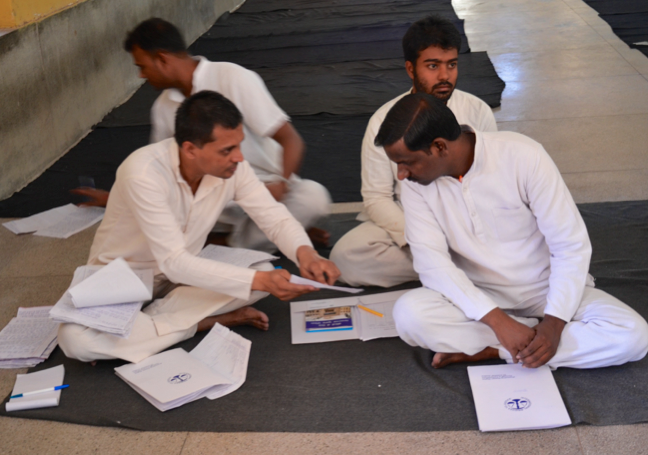 IBJ India organized a two-day paralegal training for the convicts at the Central Jail, Ajmer on the 4th and 5th of October 2014. 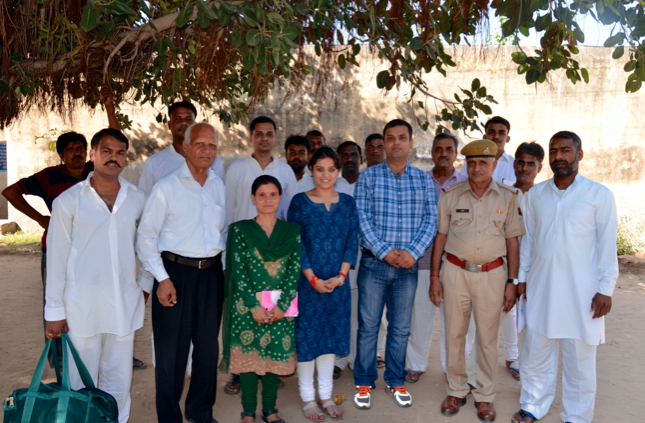 The workshop aimed at building capacity and awareness of speedy trial to the convicts of the jail. It was attended by ten convicts who were selected according to their educational qualification and happened to be life/long term convicts. IBJ was represented by Advocates Mr. Ajay Verma and Pankhuri A. Mehndiratta. The workshop concentrated in particular on the difficulties faced by those held in pre-trial detention to stress how long term convicts can assist with this. The long term convicts are in some way in-house legal resources. Their knowledge of processes on arrest, rights in jail, processes in court, can be of great value in ensuring that legal rights are accessed and prisoners do not unnecessary remain incarcerated. As the IBJ mandate is to provide access to justice, we started with the most common question- “What is law and what is an ideal jail?” Many hands were raised to answer. Next obvious question was, “Do you know about your rights in prison are?” Very few were able to answer this question. 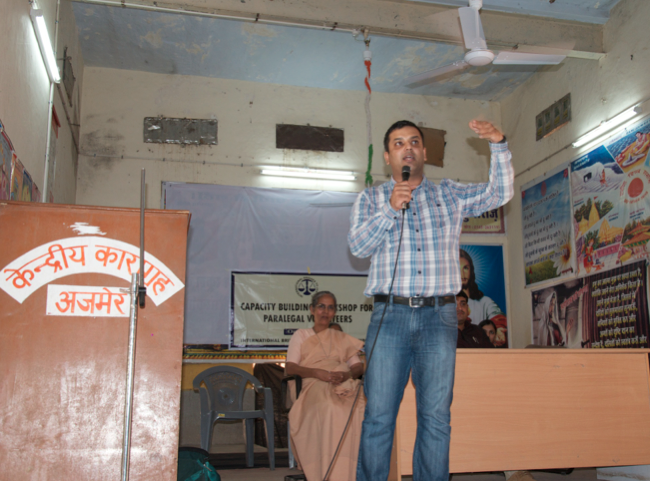 Ajay Verma explained the various rights of the prisoners, which includes right to a fair and speedy trial. He emphasized that fair trial is the essence of India’s criminal justice system. Arbitrarily depriving an individual of their liberty is violation of the human rights and right to freedom given by our Constitution to every person. Hence, nobody has the right to put anyone in the prison, to keep there, without any good reason. It is the right of the detainee to raise his/her voice against any wrongful treatment and torture. Those who have been the victim of unlawful arrest have an enforceable right to compensation. 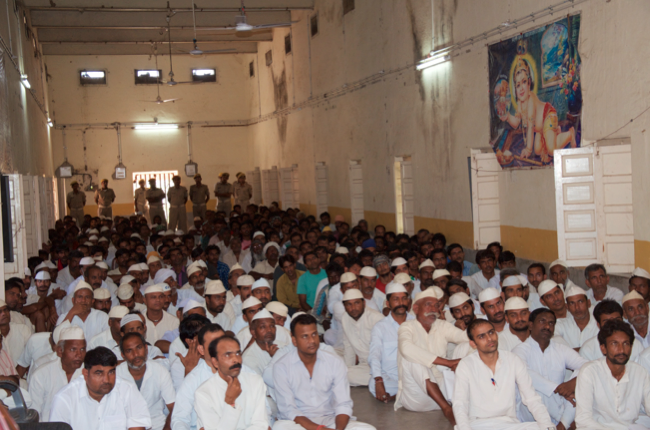 The IBJ Team explained the procedures of first appearance and remand to the prisoners. It is the right of a person who is arrested or detained in custody to be produced before the nearest Magistrate within a period of twenty-four hours of such arrest. No one shall be detained in custody beyond that period without the permission of the Magistrate. The prisoner should be able to get help with keeping their home or job and keeping in touch with their family. They should be able to get help carrying on their business from prison. Remand prisoners are supposed to be treated as if they are innocent until proven guilty. This session discussed the procedures which must be utilized to deliver a fair trial and justice. Right to speedy trial is an essential part of fundamental right. According to article 21, no person shall be deprived of his life or personal liberty except according to procedure laid by law. Any delay in trial should be seen as miscarriage of law. The cases pending for years create mental and economic pressure on litigants. Right to speedy trial is the right of the accused and it encompasses all the stages, namely investigation, inquiries etc. A right to fair trial is an essential right respecting the rule of law. It is the right of the defendant to be tried before an impartial jury who on considering the evidences against defendant, decide whether to find him or her guilty of the crime charged. The magistrate should hear the case within the reasonable time. If there is no counsel for the defendant, the magistrate should appoint a counsel. The convicts were also trained on the procedures of parole, bail, legal aid etc. Legal aid is no longer a matter of charity but is one of the constitutional rights. Each person is entitled to free legal aid from the point of arrest. If a prisoner is sentenced to imprisonment is unable to exercise his constitutional right for want of legal assistance, the court has the power to assign, under article 142 read with article 21 and 39-A of the constitution, counsel for such imprisoned individual. Liberty of every citizen must be zealously safeguarded by courts. Basic rule should be “bail and not jail.” Yet where there are circumstances suggestive of the accused fleeing the course of justice, or possibility of his repeating offences, then he can be denied bail. Once the accused is prepared to furnish bail, the police officer or the court before which he offers to give bail is bound to release him on such terms. Also the terms of the bail are to be reasonable. If a person during the period of investigation or trial undergoes detention for a period extending up to one half of the maximum period of imprisonment specified for that by law, he shall be released by the court on his personal bond with or without sureties. This provision does not extend to offences for which the punishment is life imprisonment or death. 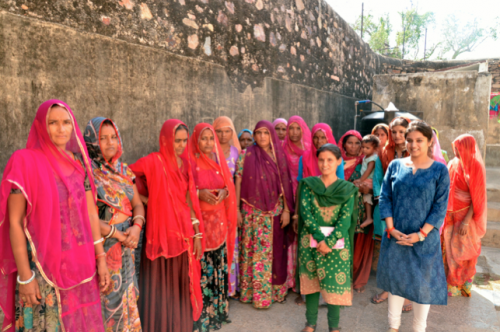 The last part of the session worked to ensure that the inmates were treated more humanely and are provided with at least the minimum standard of living. The prisoners have certain rights when they are sent to judicial custody including: right against solitary confinement, handcuffing and bar fetters, and protection from torture etc. The convicted prisoners have the right to employment within the jail and wages should be paid accordingly. Every prisoner has the right to an adequate standard of living. They have the right to food, clothing, and proper accommodation at an adequate level. The children in the prison have the right to education and proper upbringing. It is the human right of a person to live their life with respect and dignity. It is the right of the prisoner to be informed of the rules and regulations of the prison. No prisoner shall be stopped from practicing their own religion and every prisoner shall be allowed to satisfy the needs of his religious life. Visits to prisoners by family and friends are a solace in insulation and only a dehumanized system can derive vicarious delight in depriving prison inmates of this humane amenity. Every basic necessity of life shall be provided to the prisoners so that they could have minimum standard of living. The long standing goal of this two day workshop was to train the convicts to be resources for the prison administration and expedite the judicial process for the inmates in need. This was in tandem with IBJ’s efforts to empower and strengthen the core of the criminal justice system in order to secure respect for legal rights. We are grateful for the enthusiastic cooperation of the prison authorities. We are looking forward to conducting future events.